King Gillette Ranch in Calabasas offers campers a spectacular 588 acre park to explore. Daily hikes take place in the cooler morning on the surrounding trails, though native plant gardens, and into grassy fields where kids can run around and play. 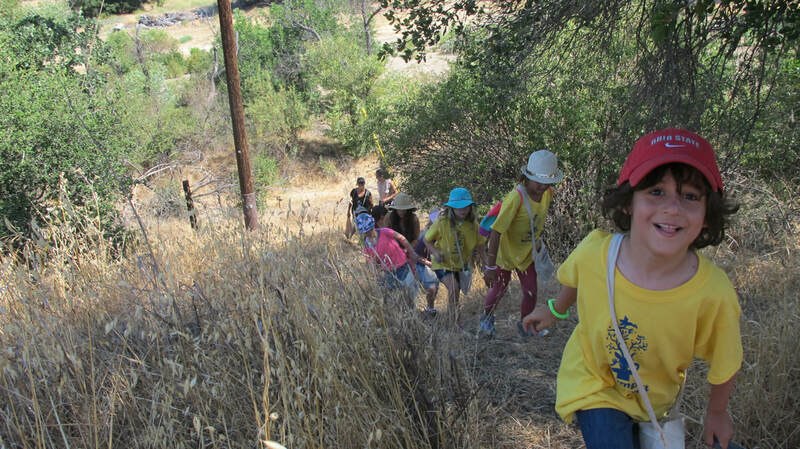 Art workshops, nature skills, exploration, fort building, games and group activities take place in the meadows and under the shady oak tress.​ The Ranch address is 26800 Mulholland Highway, at the intersection of Mulholland Highway and Las Virgenes Road, across the street from Malibu Creek State Park. The address is 3504 Las Flores Canyon off the Pacific Coast Highway. 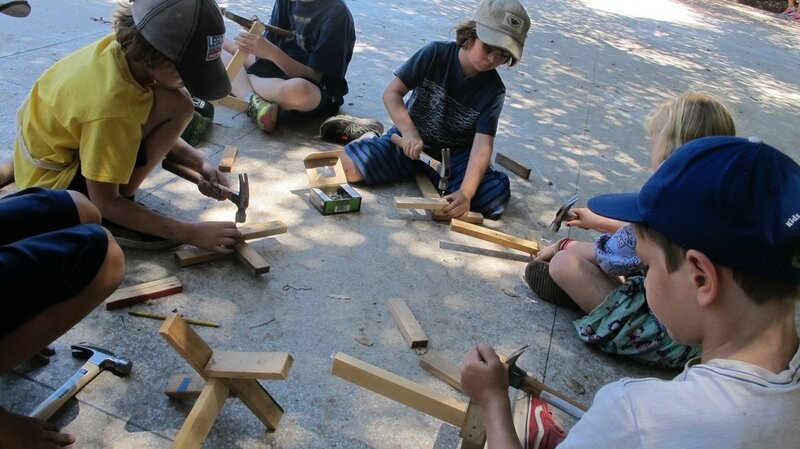 Camp Wildcraft strives to build an exuberant camp community, with each day's program building on what came before. To create this immersive experience, we offer weekly sessions. 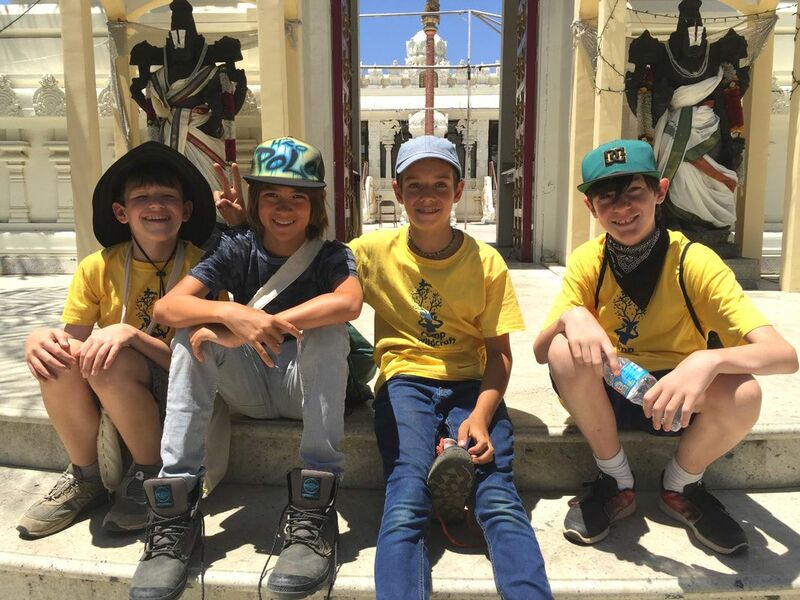 Each week has different activities, and a continuity of camp traditions. Our camp schedule is structured, but flexible, allowing kids to feel a sense of relaxed openness, self-direction and free exploration that a summer outdoors in nature can provide. We are small by design with about 35 campers in each session. On the first day of camp, our campers create a hand-made pouch and nature journal to document their daily explorations on the trail. Each week we explore big questions and inspiring themes that are a catalyst for our all-camp mixed-media art project. 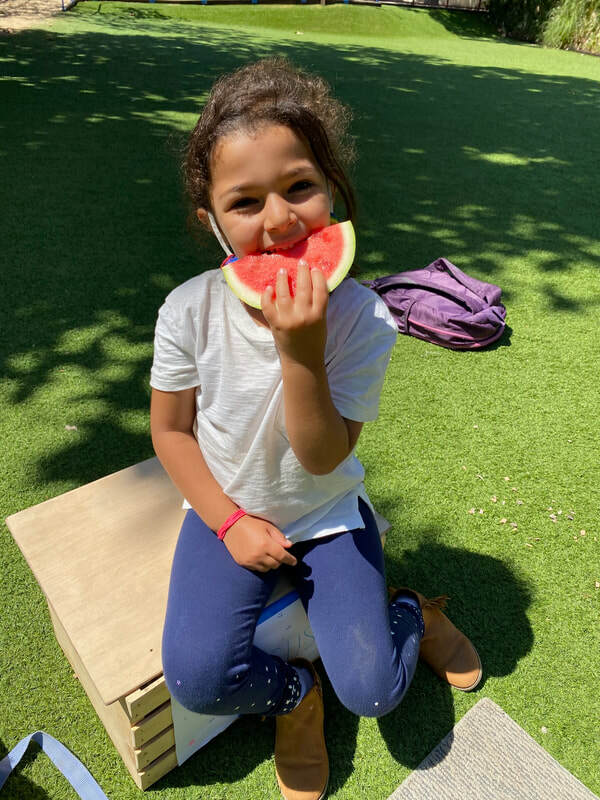 In the afternoon campers choose different activities such as cooking, theater, painting, clay work, fiber arts, cartooning and much more which build skills in different areas. The camp day ends with fort-building, scavenger hunts, team games and more, before we all gather for our closing circle. SAFETY: Safety is at the heart of all we do. Key staff are CPR and First Aid Certified and all are trained in outdoor safety procedures. We have at least 1 counselor for every 8 campers, exceeding American Camp Association recommendations. FOR MIDDLE SCHOOL STUDENTS: Our Wildcraft Junior Guide Program offers an opportunity for middle schoolers entering grades 6, 7, 8 and 9 to participate in camp, learn leadership skills, guide our younger campers and assist with activities and programs. As our Junior Guides take on age-appropriate leadership roles, they participate in camp at a discounted fee. LEADERSHIP: Camp Wildcraft was created by husband and wife team Benny Ferdman and Shari Davis. 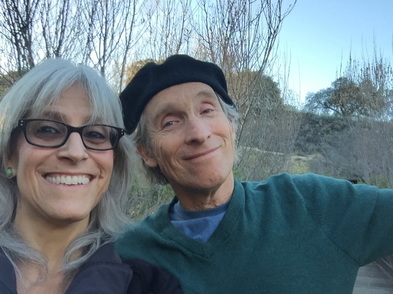 As co-founders of the arts and education organization Creative Ways, they have worked together for over 25 years creating and teaching art, designing hands-on educational programs and museum exhibitions, developing interactive curricula for schools and camps, and leading field trips exploring nature and culture. Benny Ferdman also served as the Founding Arts Director at deToledo High School in West Hills. Shari served as Director of Education and led the Focus on Teen Wellness at the Jewish Federation of Greater Los Angeles. OUR COUNSELORS (AKA WILDCRAFT GUIDES): Our talented, caring and safety-minded staff guide our campers to make friends, explore the arts and discover the wild wonders of our natural world. 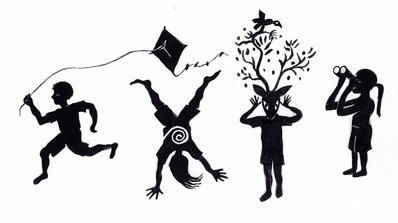 All are over 18 years old, bring unique art and nature skills, and have extensive experience working with kids.